Hurricane Maria slammed into Puerto Rico just after 6:15 a.m. this morning as a Category 4 storm with sustained winds of 155mph. It has since been downgraded to a Category 2 with winds at 110mph off the northwest coast of Puerto Rico. Homes are flooding and power lines have been downed across the entire island. Officials predict entire towns will have to be rebuilt. Maria is the most powerful hurricane to threaten the region in almost 90 years. Up next: The Dominican Republic is expected to experience hurricane conditions soon and Maria is expected to move to the Turks and Caicos Islands and to the southeastern Bahamas Thursday morning. The governor of Puerto Rico, Ricardo Rosello, implemented a curfew, 6pm-6am effective Wednesday to Saturday. 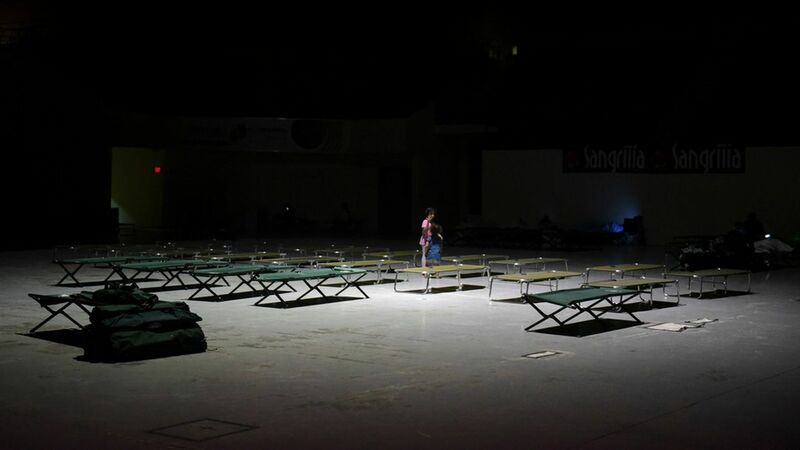 One of Puerto Rico's biggest shelters lost its roof, according to witness accounts. More than 500 shelters were opened, per Rosello. At least 7 have died from the hurricane in Dominica. 2 reportedly died on the French Caribbean island of Guadeloupe. The U.S. Virgin Islands Operations Center said it was too dangerous to check on St. Croix residents.